Posted on July 28, 2017 by treelawyer	tagged. 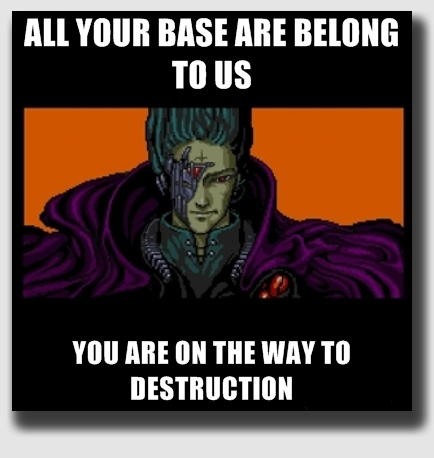 If you were not following Internet culture (as oxymoronic as that phrase may be) back in 2001, you might not recognize the badly-mangled taunt “All your base are belong to us,” derived from the poorly-translated Japanese video game, Zero Wing. It became a cult classic in 2001, and the melodious strains of the techno dance hit Invasion of the Gabber Robots can be heard in some of the goofier corners of the ‘Net – and there are plenty of those – to this very day. 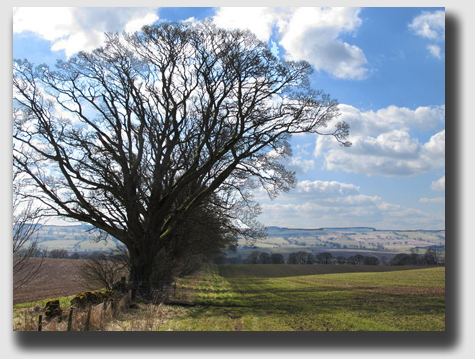 In today’s case, an elm tree stood on the boundary line between the Ridges and the Blahas. One can almost imagine Mr. Blaha — who was tired of the mess the elm made every fall — announcing to the tree that “you are on the way to destruction!” But the problem was that, contrary to Mr. Blaha’s belief, all the tree’s base did not belong to him, at least not just to him. Rather, the base of the tree straddled the property line between the Blaha homestead and the Ridges’ house. Unlike the Colorado decision of Rhodig v. Keck, which we discussed last week, the Illinois court did not require that the plaintiff show who had planted or cared for the tree. Instead, its analysis was simple: the tree grew in both yards, and thus, the Ridges had an interest in the tree, as did the Blahas. This made the landowners “tenants in common,” and prohibited either from damaging the tree without permission of the other. The Illinois view, which is the more common approach that Colorado’s “husbandry” test, is the prevailing view in the United States. 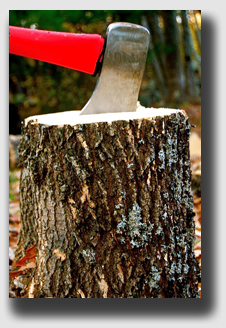 In this case, the Court issued an injunction against Mr. Blaha prohibiting him from cutting down the tree. 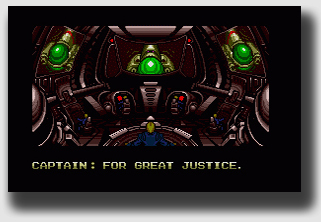 For great justice. Ridge v. Blaha, 166 Ill.App.3d 662, 520 N.E.2d 980 (Ct.App. Ill. 1988). The Ridges sought an injunction against the Blahas to prevent them from damaging an elm tree growing on the boundary line between their respective properties. After living with the elm for many years, the Blahas tired of the tree’s unwanted effects and decided to remove it with the help of an arborist. The Ridges were not consulted, however, and when arborist Berquist came to remove the tree, plaintiffs objected that the tree belonged to them and that they did not want it destroyed. The evidence showed that the base of the tree extended about 5 inches onto the Ridges’ property, but that the tree trunk narrows as it rises so that at a height of 1.25 feet, the trunk is entirely on Blahas’ side of the line. Photographs were also introduced which showed the tree interrupting the boundary line fence. The trial court found that no substantial portion of the elm’s trunk extended onto the Ridges’ property and that, as such, they did not have a protectable ownership interest in the tree. The Ridges appealed. Held: The Ridges had a protectable interest. 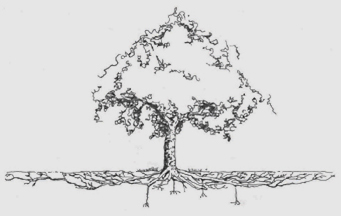 The Court held that the fact that a tree’s roots across the boundary line, acting alone, is insufficient to create common ownership, even though a tree thereby drives part of its nourishment from both parcels. However, where a portion of the trunk extends over the boundary line, a landowner into whose land the tree trunk extends had protectable interest even though greater portion of trunk lied on the adjoining landowners’ side of boundary. That interest makes the two landowners tenants in common, and is sufficient to permit the grant of an injunction against the adjoining landowner from removing the tree. Posted on July 27, 2017 by treelawyer	tagged. Cleveland’s gift to the world. Add to that impressive string of achievements one more jewel: Cleveland gave the United States its first small claims court in 1913. The People’s Court was not far behind. Small claims courts exist in every state of the country, informal courts of very limited jurisdiction (awards of a few hundreds or few thousands of dollars), places where lawyers and formality are rare indeed. It was to just such a place that Mr. Iny dragged Mr. Collom. It seems the roots of Mr. Collom’s tree were breaking up the walls of his neighbor’s garage. Now, any fan of the Massachusetts Rule would have told the neighbor to get out there with a shovel and ax, and cut the offending roots at the property line. Self-help is, after all, as American as … well, as the Massachusetts Rule. Of course, self-help doesn’t mean you can go onto your neighbor’s property, and it seems the homes and garages in this Long Island town were packed together like sardines. Mr. Iny couldn’t dig up the attacking roots without going onto Mr. Collom’s place, and we’re suspecting from the decision that these two guys were not the best of friends. So Mr. Iny took him to court. The small claims court awarded him $2,100 for damages. Being of limited jurisdiction, the court couldn’t order Mr. Collom to cut down the tree or dig up the roots, so money was all that was available. Mr. Collom appealed (something you never see happening on TV). 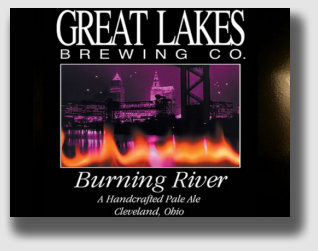 Great Lakes’ American pale ale, named for that embarrassing episode in 1969 when the Cuyahoga River burned – not for the first time – and ended up as an icon for the nascent environ-mental movement. Incidentally, the river’s quite clean these days, and the brew’s a pretty fine pale ale. The Supreme Court (which in New York State is not the state’s high court, but rather in this case just a court of appeals) reversed. The remedy here, the court said, shouldn’t have been money. It should have been to cut down the tree. But the small claims court lacked jurisdiction to do that. The Supreme Court itself didn’t have such constraints, so it reversed the money damages and instead ordered Mr. Collom to get rid of the tree. Of course, the discussion is found in a dissent to a fairly low-level, unreported decision, but it’s a thoughtful analysis of the encroachment rule in a state where precedent on the subject is sparse. Good reading on cold winter night … unless, of course, another episode of Judge Judy is on. Iny v. Collom, 827 N.Y.S.2d 416, 13 Misc.3d 75 (Sup.Ct. N.Y., 2006). The roots of a tree situated on defendant’s property damaged the wall of a garage on plaintiff’s property. Plaintiff lacked the room to cut the roots out himself without trespassing on his neighbor’s land. He sought to get his neighbor to remove the objectionable tree, which he felt would have been the best way to fix the problem, but the defendant refused. Plaintiff sued in small claims to recover $2,100. The trial court awarded him this sum. Defendant appealed. Held: The decision was reversed. The Supreme Court noted that a New York small claims court is a court of limited jurisdiction and lacks the authority to grant any equitable remedy, such as directing the removal of a tree. Under the circumstances presented, the Court ruled, “substantial justice would have been most completely rendered had the court awarded judgment in favor of defendant dismissing the action on condition that he remove the subject tree within a specified period of time”. But the trial court couldn’t do that. The Supreme Court could, however, and ordered the case dismissed, conditioned on defendant removing the tree within 60 days. One justice dissented. He believed that the trial court’s judgment awarding plaintiff $2,100 in damages was based on a nuisance claim, and should have been affirmed. The dissent said the issue faced in the case was whether under New York law, a property owner whose property is being encroached upon and damaged by the roots of a neighboring property owner’s tree may successfully assert a cause of action sounding in private nuisance if the property owner’s resort to self-help is unworkable, and the property owner’s attempts at obtaining assistance from the neighboring property owner to abate the roots’ encroachment have been unsuccessful. The dissent argued that to establish a cause of action for private nuisance, the plaintiff must show that the defendant’s conduct causes substantial interference with the use and enjoyment of plaintiff’s land and that defendant’s conduct is (1) intentional and unreasonable, (2) negligent or reckless, or (3) actionable under the laws governing liability for abnormally dangerous conditions or activities. The interference can be caused by an individual’s actions or failure to act. Where a defendant has been put on notice that his activity is interfering with plaintiff’s use and enjoyment of his land and defendant fails to remedy the situation, the defendant ought to be found to have acted intentionally and unreasonably. 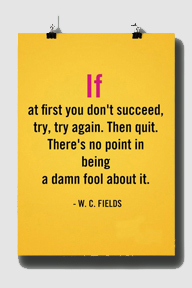 Remember – the dissent is the only the opinion of the losers, amusing but inconsequential. Furthermore, the dissent argued, “[u]nder New York law, a party is liable for failing to abate a nuisance [under a theory of negligence] upon learning of it and having a reasonable opportunity to abate it.” The question of whether there has been a substantial interference with plaintiff’s use and enjoyment of his/her property is one to be resolved by the trier of fact and involves a review of the totality of the circumstances based upon a balancing of the rights of the defendant to use his or her property against the rights of the plaintiff to enjoy his or her property. The balancing amounts to a risk-utility analysis weighing the social value of the conduct involved against the harm to private interests. The dissent admitted that while the elements of a nuisance action appear straightforward, in New York there is a paucity of case law addressing nuisances arising from trees or other plant life. Nevertheless, the justice argued, there is substantial case law from jurisdictions outside New York, and he describes in detail the Massachusetts Rule, the Virginia Rule and the Hawaii Rule. The dissent concludes New York has “in large measure, adopted a hybrid approach somewhere between the Hawaii and Virginia Rules in determining the issue of nuisance liability. To sustain a cause of action for nuisance, a plaintiff must resort to self-help in the first instance, which does not appear to be a prerequisite under the Hawaii Rule. 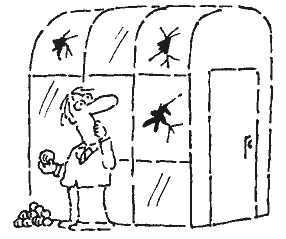 Once a plaintiff establishes that self-help failed or self-help was impracticable, he or she must (1) show sensible damage (this kind of “sensible” has nothing to do with common sense, but rather is an injury that can be perceived by the senses), (2) that defendant’s conduct is causing substantial interference with the use and enjoyment of plaintiff’s land, (3) that defendant’s conduct is intentional or negligent, and (4) that the continued interference with the use and enjoyment of plaintiff’s property is unreasonable. Where a defendant has been notified that a tree was causing damage to plaintiff’s property and refuses to assist plaintiff in taking measures designed to abate the nuisance, the defendant should be found to have acted intentionally or negligently with regard to the nuisance. The unreasonableness of the interference will depend upon an overall balancing of the equities: the injuries to plaintiff and to defendant, the character of the neighborhood, the ongoing nature of the injury, and the nature of defendant’s actions. Remember, the foregoing – while it may be eminently “sensible” in the meaning of the term – was the opinion of a lone judge, one who was outvoted. It makes for thoughtful reading. But don’t mistake it for the law. Posted on July 26, 2017 by treelawyer	tagged. Remember that Disney World earworm “We are the World?” Hold that tune in your head as an especially annoying mnemonic device, to remind you that trees that grow on the boundaries between properties generally belong to us all, at least all of us who own the properties on which the tree sits. Well, maybe just about everywhere except Colorado. In this case, one neighbor mistakenly planted trees entirely on the property of his neighbor, at least by a few inches. You know what happens when trees grow. These grew so they stood astride the boundary line of the properties. At least that’s where they stood until the neighbor cut them down. The Rhodigs claimed the trees that grew on both properties were owned as tenants in common. This was important, because the traditional rule was that trees straddling a boundary belonged to both parties as tenants in common. Neither party could cut down the trees without the consent of the other. The Supreme Court of Colorado held that whether the trees grew on the boundary wasn’t as important as what had been the agreement between the parties when the trees were planted. There has to be meeting of the minds as to the planting, the care, or even the purpose of the trees, the Court said, because without an agreement, one party cannot have an ownership interest in something affixed to someone else’s land. A spirited dissent argued the tradition English rule — that held that trees straddling a boundary belonged to both parties as tenants in common — makes more sense. Certainly, it saves a lot of judicial hair-splitting as to agreements and courses of dealing between two neighbors who were now in court. The dissent may yet have its day. Last January, the Colorado Supreme Court granted certiorari in Love v. Klosky, Case No 16SC-815, on the question of whether the Court should overrule its decision in Rhodig v. Keck. So by the end of this year, we may have to unlearn everything we’re learning today. We shall see. Rhodig v. Keck, 161 Colo. 337, 421 P.2d 729, 26 A.L.R.3d 1367 (Sup.Ct. Colo. 1966). The Rhodigs sued Roy Keck for malicious and wanton destruction of four trees which allegedly grew on the boundary line between the Rhodig and Keck properties. Keck admitted removing the trees but alleged that they were completely on his property and that he had the right to destroy them. The problem seems to be that boundary trees, once planted, seldom stay small. When the Rhodigs purchased their property, there were two trees standing near the lot line. In 1943 Rhodig planted two more trees in a line with the first two. Later one of the original trees died and the Rhodigs replaced it. In 1962 Keck, wishing to fence his property to the south of Rhodigs, had a survey made of the lot line. This showed that one tree was entirely inside Keck’s property by three inches; a second tree, 18 inches in diameter, extended four inches onto Rhodigs’ land and was 14 inches on Keck’s lot; a third tree, eight inches in diameter, extended two inches onto Rhodigs’ land and was six inches on Keck’s lot; the fourth tree, which was 16 inches in diameter, was growing five inches on Rhodigs’ land and 11 inches on Keck’s lot. As a result of the survey, Keck removed the trees. Incidentally, the Rhodigs had done their own survey 10 years earlier, and their findings matched those of Mr. Keck. In fact, they had tried to buy a strip of land with the trees from Mr. Keck without success. The trial court granted Keck’s motion to dismiss at the close of plaintiffs’ case, finding that the Rhodigs had failed to establish that they were owners of the trees. The Rhodigs appealed. The Court held that one of the trees — being wholly on Keck’s land — was not involved in the dispute at all. As to the other three trees, the Court said, the Rhodigs had failed to prove a legal or equitable interest in them, meaning that the legal owner of the land — Mr. Keck — had the right to remove the encroachment. The California Civil Code sets out the common rule, one not followed in Rhodig v. Keck. Posted on July 25, 2017 by treelawyer	tagged. Family reunions at the Halcumb homestead must have been rather awkward after sister Patsy sued her brother Ken for a hundred grand in cut timber. Ken lived on land pursuant to a life estate, with Patsy holding the reversionary interest. Ken and his buddy Troy Denton decided to harvest the timber and sell it, thereby committing waste on the property. Sister Patsy sued brother Ken and collected $32,000. Only half a loaf, it turns out – Patsy had demanded treble damages under Arkansas’ wrongful cutting law – a statute similar to one in many states, which punishes wrongful taking of timber by tripling the damages to be paid by the wrongdoer. The trial court had denied treble damages, much to Patsy’s dismay. She didn’t bother to appeal. Instead, right after Ken paid her off, she turned around and sued Troy, asking for the treble damages. 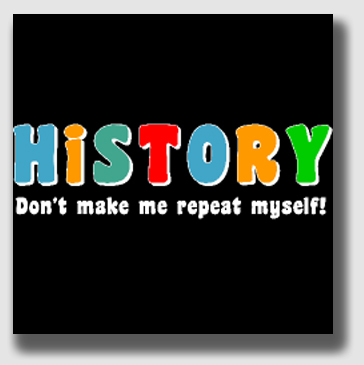 Remember your mother warning you, “Don’t make me repeat myself?” Well, maybe you remember George Santayana. Courts don’t like to repeat themselves, either. When a court has spoken definitively on an issue, that judgment binds those parties who had a fair chance to litigate it. This, in its various flavors, is res judicata (where the claim cannot be relitigated) or collateral estoppal (where only one or more points cannot be relitigated). Either is a defense to be raised against a claim. 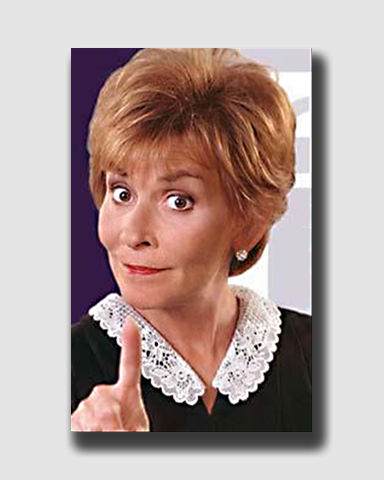 Troy did just that, asking the trial court to dismiss the claim under the doctrine of res judicata, literally meaning “the thing has been adjudicated.” Patsy tried the novel argument that because her brother had the right to get contribution from Denton for the money he had to cough up to big Sis, she had the right to sue him as well. After all, Troy was a joint tortfeasor. But the court said that begged the question. If her brother wasn’t liable for the treble damages, his partner-in-tort hardly could be. And that was the problem. Patsy had had a fair shot at the tree harvesters in the first trial. The law guarantees everyone one fair shot, but not two. Where the second case is based on the same events as the first, the Court said, it is precluded by issue preclusion, the concept that encompasses collateral estoppel, res judicata, and claims preclusion. That just makes good sense — both from the standpoint of judicial economy and everyone’s interest in seeing litigation have some reasonable and final endpoint. White v. Denton, Not Reported in S.W.3d, 2007 WL 4181557 (Ark.App., Nov. 28, 2007). Patsy White owned timberland in Polk County, subject to a life estate in the property held by her brother, Ken Halcumb. In the summer of 2004, Halcumb contracted with Denton to cut and remove timber from the property. White sued her brother for conversion of the timber and for damage to the property, alleging the land sustained damage in excess of $100,000 plus more than $25,000 in cleanup and replanting costs. She asked for treble damages for the value of the converted timber. 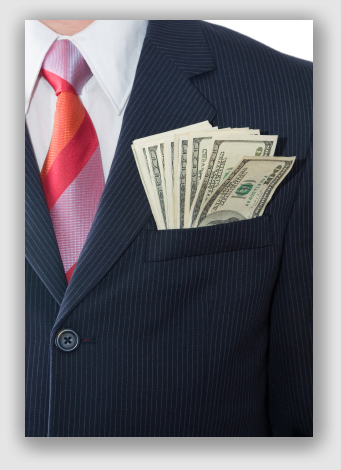 White won a $31,202.80 judgment in 2005. In that judgment, the trial court denied White’s prayer for treble damages, finding that Arkansas law on treble damages for wrongful cutting of timber did not apply. The Court also refused to award damages for clean up or replanting of the timber. She did not appeal, and her brother paid. A month later, she sued Denton for trespass and conversion of her timber, again asking for treble damages. Denton asked for summary judgment, asserting that White’s complaint was barred by the doctrine of res judicata, having been by the judgment she got against her brother. The trial court agreed and dismissed White’s complaint. While appealed. Held: Denton is off the hook. White argued that the recovery of a judgment against one joint tortfeasor did not discharge the other joint tortfeasor. She said that Denton acted “jointly” with her brother to commit the torts of trespass and conversion of her timber, but contended that Denton is “independently liable” for those acts. She argued that her cause of action against Denton is not barred by res judicata because she hadn’t had a full opportunity to pursue Denton as a joint tortfeasor. She acknowledged that she received in damages the same amount of money that Halcumb sought to collect from the timber, but she contended that the judgment did not include the remaining damages that she claimed. 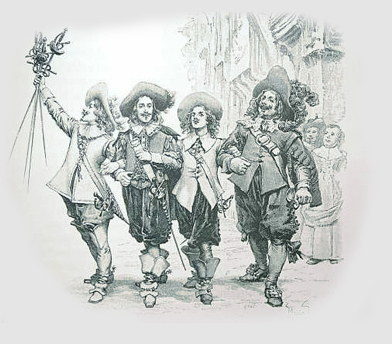 The Three Musketeers – “All for one and one for all?” Or were they merely joint tortfeasors? The Court said that the term “res judicata” encompassed both issue and claim-preclusion. When a case is based on the same events as the subject matter of a previous lawsuit, res judicata will apply even if the subsequent lawsuit raises new legal issues and seeks additional remedies. The key question regarding the application of res judicata is whether the party against whom the earlier decision is being asserted had a full and fair opportunity to litigate the issue in question. While state law established a common policy for loss distribution among joint tortfeasors, it didn’t give a plaintiff the right to sue each of multiple tortfeasors individually for the same damages. The Court noted that White recovered a judgment for the very claims that she subsequently attempted to assert against Denton. If she was unsatisfied with the amount of the judgment, the Court said, her remedy was appeal, not a new suit against someone she could have included in the first action. Here, the Court held, White’s suit against Denton arose from the same wrongful cutting of her timber and the damages that she sought were identical. While Patsy arguably asserted a somewhat different legal theory – negligence – as a basis for imposing liability against Denton, however, that fact made no difference. Posted on July 24, 2017 by treelawyer	tagged. 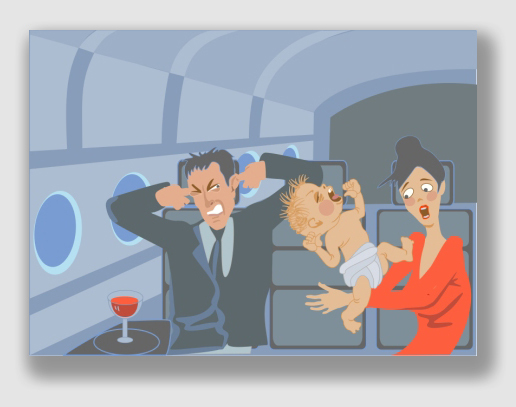 Anyone who’s ever sat next to a screaming baby on a red-eye flight knows “nuisance.” But what “nuisance” means in law may not be quite as readily identifiable as the wailing infant in seat 7B. So just what constitutes a nuisance causing enough interference with an owner’s enjoyment of property to justify court action? The Haffners found out that wherever the line may fall, it was beyond the suffering they endured. And, in the process, they may have learned that the law is a poor bludgeon. The Haffners had lived in the same house since 1977. The Clarks – who happen to run a tree service (but that’s not central to the case) – lived about 50 yards east of them, and the Nelsons live about 40 yards to the west. That wasn’t a problem until the Clarks and Nelsons became smokers. They weren’t using tobacco, or even pot (this not being Colorado). 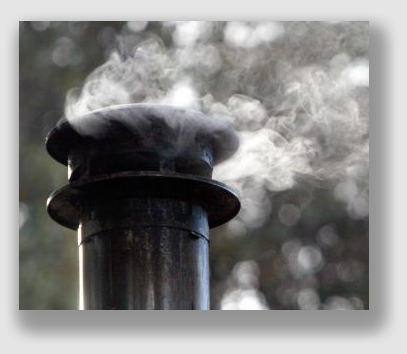 Instead, they both installed rather old-fashioned but new-fangled outdoor wood furnaces. The Clarks were true early adapters, having used a wood-burning furnace since 1984. 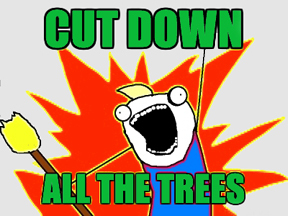 (Being tree trimmers, they had an abundant supply of fuel). 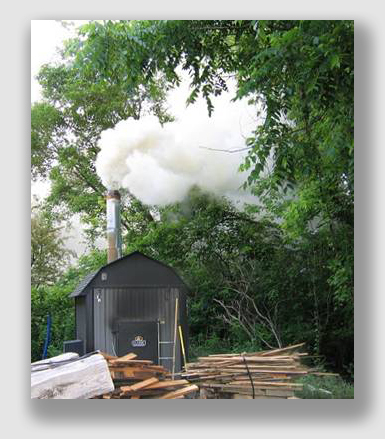 The Nelsons installed their high-tech outdoor wood-burner in 2008. Choking on the enveloping smoke, the Haffners sued, alleging that the Nelsons’ and Clarks’ furnaces “generated smoke, soot, noxious fumes, and fly ash, which damaged their property, caused them physical injury, and reduced the value of their property, as well as infringed on their use and enjoyment of the land.” The Haffners asked for an injunction from the court ordering the neighbors to quench their fires, along with some money to ease their suffering. But their victory went up in smoke. It turned out that the Haffners were living in a glass house, having operated their own wood furnace for 20 years. They couldn’t very well prove any damage to their property or health arising from the Nelsons’ and Clarks’ wood furnaces when they were generating smoke with their own furnace like a politician on the hustings. The medical maladies the Haffners said were caused by the smoke existed year around, even when the furnaces were stone cold during the summer. Other neighbors who lived nearby testified that they had not been bothered by the Clarks’ and Nelsons’ furnaces. We know what you’re thinking: there must be a backstory here. Indeed. There was some evidence of animosity between the Haffners and their neighbors that had nothing to do with smoke. Haffner v. Clark, 795 N.W.2d 99 (Court of Appeals, Iowa, 2010). The Haffners lived between the Clarks and the Nelsons. In about 1984, the Clarks installed a wood-burning furnace to help heat their home. The Nelsons installed an outdoor wood-burner in 2008. The Haffners sued, alleging that smoke, soot, fumes, and fly ash infringed on their use and enjoyment of their land. The Haffners asserted claims of nuisance, negligence, assault and trespass, and sought a court order that the Clarks and Nelsons stop using their furnaces, and for damages. The trial court found that the furnaces were not a nuisance, and that the Haffners delayed unreasonably in suing (which is to say it accepted the defense of laches and estoppel). Held: The appellate court held that the Haffners had failed to prove the neighbors’ smoke was a nuisance. The Court of Appeals observed that in determining whether an activity is a nuisance, the standard is whether normal people in the community would regard the conduct as “definitely offensive, seriously annoying or intolerable.” Under this standard, the Court agreed that smoke, odor and other attacks to the senses could constitute serious harm. The Court admitted that saving on fossil fuels might be a societal benefit, but it was of minimal utility compared to generating foul smoke. Nevertheless, the Haffners’ complaints did not a nuisance establish. The Haffners – who themselves had owned their own wood furnace for 20 years – were unable to present evidence proving any damage to their property or health arising from the Nelsons’ and Clarks’ wood furnaces. The medical conditions that the Haffners alleged were caused by the smoke existed year around, even during the summer. Other witnesses living nearby testified that they had not experienced any smoke infiltration, odors, fumes, or fly ash from the Clarks’ and Nelsons’ furnaces. The Court found it was material to its decision that the Haffners had waited 20 years before lodging any complaint with authorities, and noted in passing that there was evidence that the Haffners and their neighbors did not get along for reasons that had nothing to do with furnaces. Posted on July 21, 2017 by treelawyer	tagged. 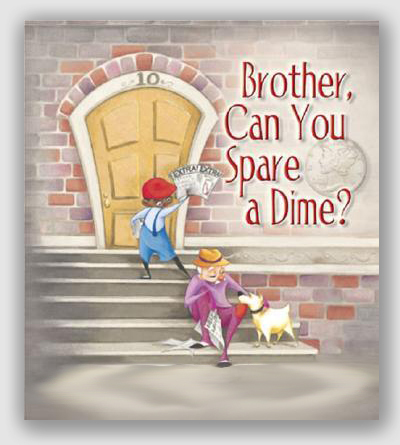 BROTHERS, CAN YOU COLLECT A DIME? One of the first rules personal injury lawyers learn in law school is “find the deep pocket.” After all, what good’s a million-dollar judgment against some guy whose earthly assets consist of a 1998 pickup truck and a rusty chain saw? Today’s victim, one of the Brothers brothers, was hurt while he performed tree trimming. An employee of Tamarack Forestry Services, Bro was struck by an aerial lift truck operated by another Tamarack employee. Of course, workers comp would have covered the accident, and at the same time would prohibit him from suing his employer (one of the tradeoffs demanded by the workers comp system, which is intended to stand in place of the old “sue and score” personal injury lawsuit). That just wouldn’t do, because without a good negligence lawsuit, how could Brothers’ personal injury lawyer find a pocket to pick? Lucky for Brothers that his employer, Tamarack, had been hired by New York State Electric and Gas Corp., a public utility that had plenty of money: just look at your light and gas bills if you doubt that. NYSEG was no patsy, pointing out that Tamarack was merely an independent contractor, a fact which normally would make NSYEG not responsible for the accident. It seems, however, New York law has an exception where the employer of an independent contractor had a contractual duty that it couldn’t delegate, such as where it had agreed to be liable for a contractor’s negligence. It turned out NYSEG was working on a DOT right-of-way, and it annually got a blanket license from the State allowing it to do so. The license had some boilerplate in it that NYSEG would comply with federal and state worker safety regulations. “Ah-ha nothing!” cried the New York Court of Appeals (the state’s highest court), holding that the non-exclusive license to trim trees created no duty that NYSEG owed DOT. Besides, the court said, public policy (which is what the court cites when it knows where it wants to g0 but doesn’t know exactly how to get there) argues against such an unreasonable expansion of the “nondelegable duty” doctrine. Brothers v. New York State Elec. and Gas Corp., 11 N.Y.3d 251 (N.Y. Court of Appeals, 2008). Mr. Brothers sued New York State Elec. & Gas to recover damages for injuries he sustained as an employee when he was struck by an aerial lift truck operated by a coworker. The public utility had contracted with Brothers’ employer, Tamarack Forestry Service, Inc., to furnish all necessary labor, supervision and equipment to clear trees and brush along electric lines. NYSEG routinely obtained annual blanket highway work permits from the New York State Department of Transportation for work to be performed along state highways. Under the permit, NYSEG was required to comply with various federal and state worker safety regulations. The trial court refused the grant NYSEG summary judgment dismissing Brothers’ action. Brothers appealed, and the intermediate appellate court affirmed the trial court. Brothers then appealed to the state’s highest court. Held: NYSEG could not be sued by Brothers. It’s true that in the work permit, NYSEG “assumed a specific duty by contract” to comply with federal and state worker safety regulations, but such a permit is not a typical “bargained-for exchange.” Although the State charges a fee for the permit, the fee is nominal consideration. A permit holder’s “breach” of the permit’s conditions does not give rise to the usual contract remedies. In fact, DOT may revoke the permit at any time whether or not there is a breach. Nevertheless, the permit imposed certain obligations on the permit holder. Its terms and conditions are not meaningless or optional; instead, the permit holder agrees to abide by them in order to obtain DOT’s permission to work in the highway right-of-way. The Court said that key issue was whether NYSEG has undertaken a nondelegable duty to comply with the safety regulations enumerated in the permit for Brothers’ benefit. 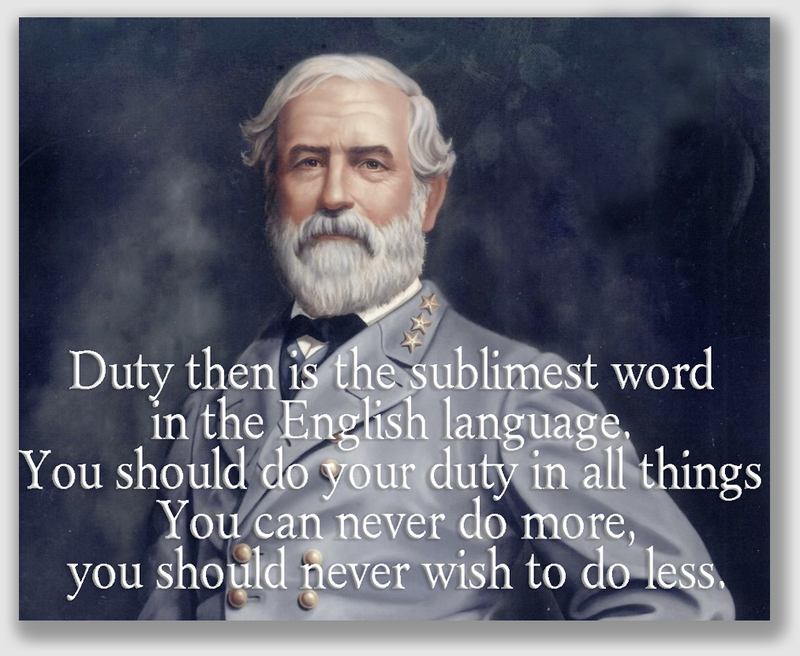 Gen. Robert E. Lee knew something about duty … and even he couldn’t have found that NYSEG owed one to Mr. Brothers. Posted on July 20, 2017 by treelawyer	tagged. A few weeks ago, we talked about the Murrells of Rancho Palos Verde, California, a sordid tale of wealth, arrogance, clever lawyers and Pyrrhic victories. Today’s case may lack money, power, hubris and clever attorneys, but – like the Murrells – Leslie MacCardell won a hollow victory. 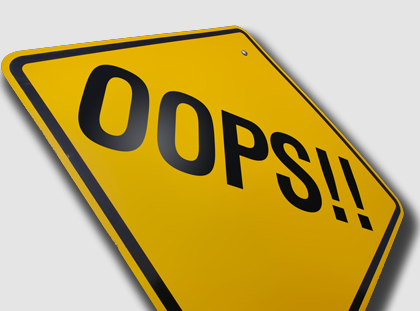 The mistake was made by the professionals in the Massachusetts Land Court way back in the 1940s. Visualize the plot … two lots located next to each other, a power line easement granted way back in antiquity that didn’t describe the corridor of the easement at all, and … well, like a sophomoric sitcom, you can see where this is heading. When the Land Court issued certificates of title (a Massachusetts thing) it recorded the easement on Lot 2. The problem is that the power lines went across Lot 1. Hilarity ensued. 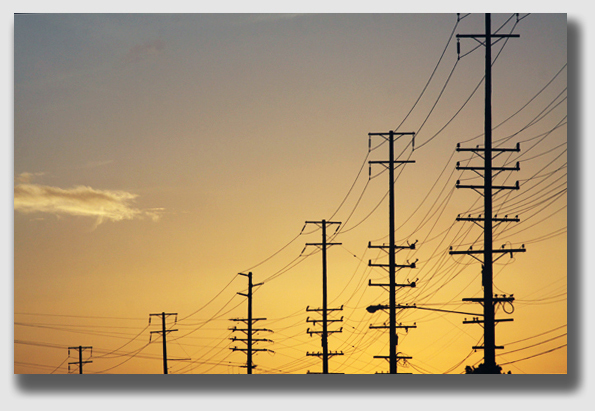 No one really notices power line poles – they’re just there. So it’s no surprise that nobody noticed the blunder until the neighbor on Lot 2 wanted to increase the size of his electrical service. The power company needed to install a transformer, and as a matter of course, it checked land records to verify its easement. Lo and behold, it found that the easement had been recorded on the wrong land. “No probalo,” the power company said, and it sued Leslie MacCardell — on whose land the power lines were located — to have the easement sort of eased on over to Leslie’s lot. Not so fast, Leslie exclaimed. She fought back, arguing that she was a purchaser in good faith, and nothing in the records she had searched when she bought the place revealed a power company easement. “Good faith, indeed!” hooted the power company. She had actual knowledge of the easement when she bought. After all, the poles were there and her lights turned on (yeah, the utility actually said this) and she got a bill. How’d she think all of that happened if not for an easement? Well, said Massachusetts highest court, in any of several ways. Despite the power company’s rather arrogant suggestion that it was just inconceivable that it would not have a proper easement, the Court said the poles could have been there permissively, or maybe — as it turned out — it was nothing but a trespass. Whatever it was, the Court held, it wouldn’t just assume that a landowner had actual knowledge. Rather, it was up to the power company to prove she did. And it didn’t. We’re guessing that, just like the Murrells in yesterday’s case, this turned out to be kind of a Pyrrhic victory for our plucky heroine. Clearly, the power company’s poles had been on her property, openly and notoriously and continuously and adversely for many years. The utility probably had an open and shut case for a prescriptive easement, and it seems curious that it didn’t plead that as an alternate cause of action. Commonwealth Elec. Co. v. MacCardell, 450 Mass. 48, 876 N.E.2d 405 (Sup.Jud.Ct. Mass. 2007). Thomas Murray owned two parcels of land. He granted an easement to the electric company for installation of transmission lines. The easement didn’t provide compass directions, but instead mentioned that the land was located in Duxbury and that the pole lines could “enter from land now or formerly of Plum Hill Avenue and cross to land now or formerly of Chester L. Churchill.” In 1944, the Murray estate filed an action in the Land Court to register and confirm the title to the two parcels. Both the certificate of title and the Land Court decree of registration mistakenly said that Lot 2 was subject to the pole easements when in fact was Lot 1. MacCardell owns Lot 1, the lot that contains the actual poles (which supply electricity to both her place and the adjacent property). Neither MacCardell’s title nor the next-door neighbor’s title mentions the utility easement. 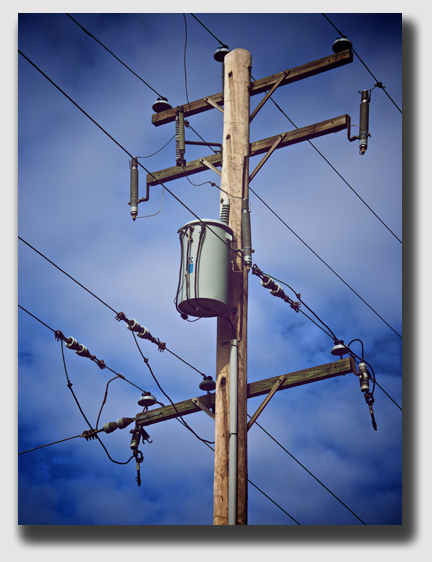 When her neighbor asked for increased electrical service, the power company decided it had to install a transformer. During its routine check on its easement, the utility found that there was an easement on Lot 2 but no easement on for Lot 1. The utility petitioned the Land Court to amend MacCardell’s title for Lot 1 to include the easement. MacCardell argued that in 1944 the Court’s decree imposed the easement on Lot 2, not Lot 1. She claimed she purchased a title with no encumbrances, and allowing the electric company to amend her title would impair her property. The Land Court entered judgment in favor of MacCardell. The utility appealed, but the Appeals Court affirmed the Land Court’s judgment. Thereafter, the electric company appealed to Massachusetts’ highest court. Held: MacCardell owned her land free of the easement. Massachusetts law is settled that title holders and subsequent purchasers of registered land for value and in good faith take “free from all encumbrances except those noted on the certificate.” With respect to easements, the general rule is that in order to affect registered land as the servient estate, an easement must appear on the certificate of title. There are two exceptions to the general rule: (1) if there were facts described on the certificate of title that would prompt a reasonable purchaser to investigate further other certificates of title, documents, or plans in the registration system; or (2) if the purchaser had actual knowledge of a prior unregistered interest. In this case, no one disputed that the easement was not recorded anywhere in MacCardell’s chain of title. However, the utility argued that she had actual knowledge of the easement. Who even notices utility poles? The “actual knowledge” exception means that for a titleholder to benefit from the protections afforded by the land registration system, the title holder must not possess actual knowledge of unregistered easements. The burden of proof lies with the party seeking to encumber an owner’s registered land, in this case, the electric company. Unfortunately for the utility, the Court said, it had presented no proof that MacCardell had actual knowledge of the easement. All it argued was she had utility poles on her property, she could turn her lights on every morning, and she received a monthly utility bill. 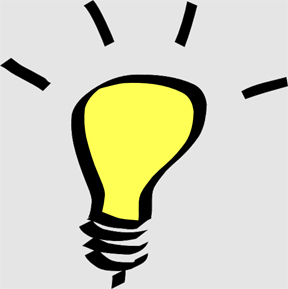 All of that proved she had knowledge, the utility claimed, because it was “inconceivable that a utility company’s installation and use of poles” would ever be permissive rather than a claim of right. 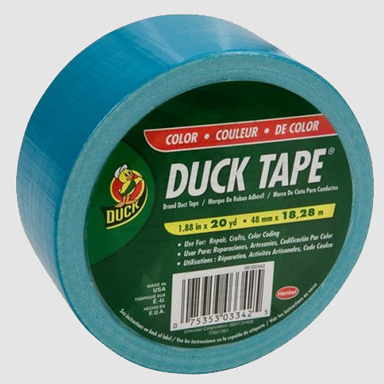 The Court rejected this, suggesting that the poles, the power and the bill might equally suggest that the use may be adverse, which does not create an easement under the law, or a registered owner might have granted permissive use. What’s more, the Court said, the mere presence of a utility pole didn’t automatically place a registered landowner on notice that her property might be encumbered, because the actual owner of a utility pole isn’t readily ascertainable, and the average person may be unaware of the exact boundaries of the land. To meet the actual knowledge exception, the Court held, there must be some intelligible oral or written information that indicates the existence of an encumbrance or prior unregistered interest.